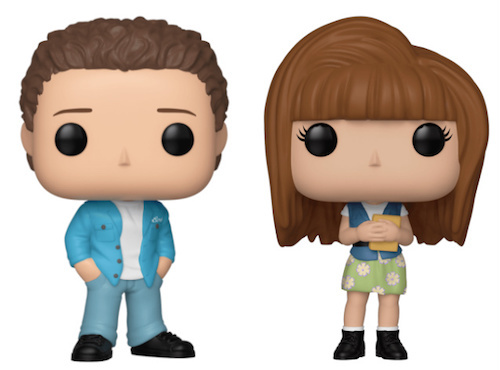 Product DetailsA blast from the 1990s past, Funko Pop Boy Meets World naturally features the stars of the sitcom: Cory Matthews and Topanga Lawrence. Tracking their adolescent romance from elementary school to college, Boy Meets World largely revolved around the pair during their formative period. Funko Pop Boy Meets captures Ben Savage as Cory and Danielle Fishel as Topanga in their younger years. The figure for Cory is dressed heavily in blue while Topanga rocks a vest, flower skirt, and '90 hairstyle. Shop Boy Meets World DVDs on Amazon. Of course, the show was not just about the budding romance for the duo. 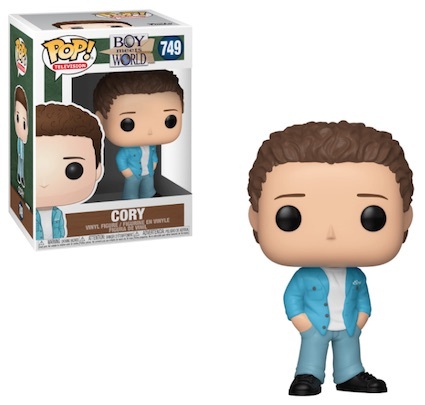 Other subjects worthy of a Funko Pop Boy Meets World figure include Cory's best friend, Shawn Hunter, Cory's older brother, Eric Matthews, and beloved teacher, friend and mentor, Mr. Feeny. And who can forget Minkus?!?! Although the series ended in 2000 after seven seasons, the Girl Meets World spinoff ran for three additional seasons from 2014 to 2017. This show switches the focus to Cory and Topanga's daughter, Riley Matthews. FUNKO Boy Meets World Pop! 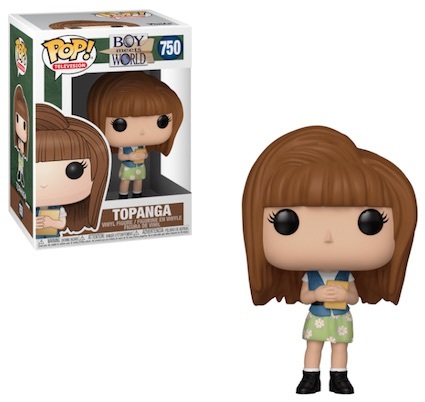 Vinyl Figure Topanga  NEW IN STOCK! FUNKO Boy Meets World Pop! Vinyl Figure Cory  NEW IN STOCK! Funko POP! TV: Boy Meets World - Topanga #750 IN HAND READY TO SHIP!!! !